Taking care of your on the water assets since day one! 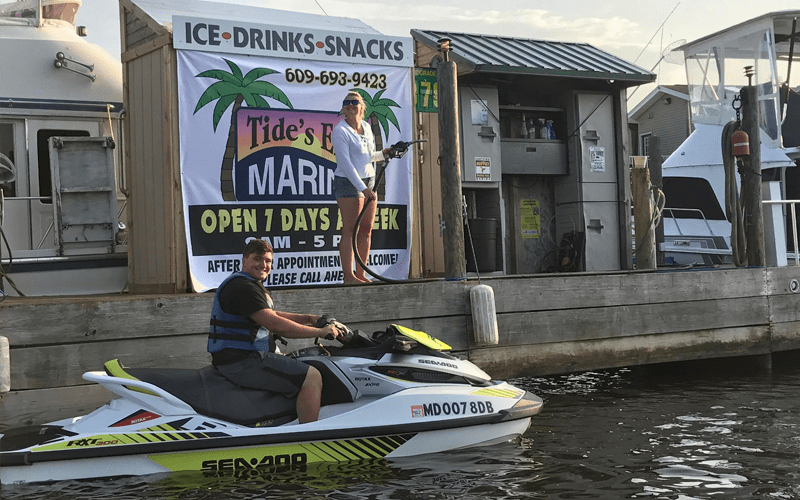 We offer a full range of services from boat slip rentals, jetski repairs, boat maintenance (outboard and inboard), storage, and our gas dock is open 7 days a week! Check out some of our services below. 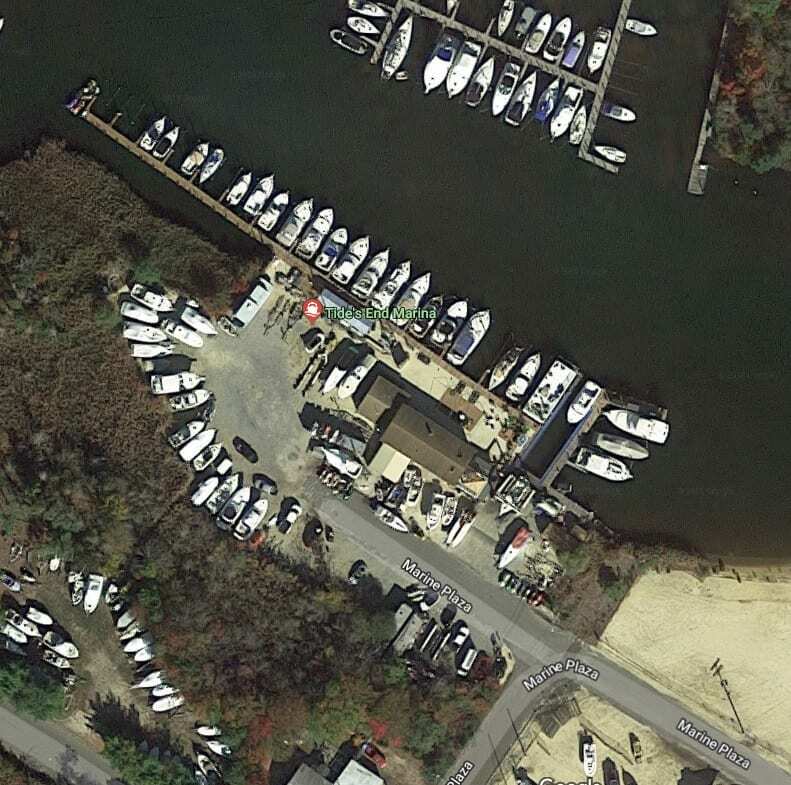 Our fuel dock is open 7 days a week from 9am-5pm! We are more than happy to make after or before hour appointments. We provide the cheapest prices on the river with the best fuel your boat can get. We have ValveTect already premixed in our fuel, no need to purchase additives. 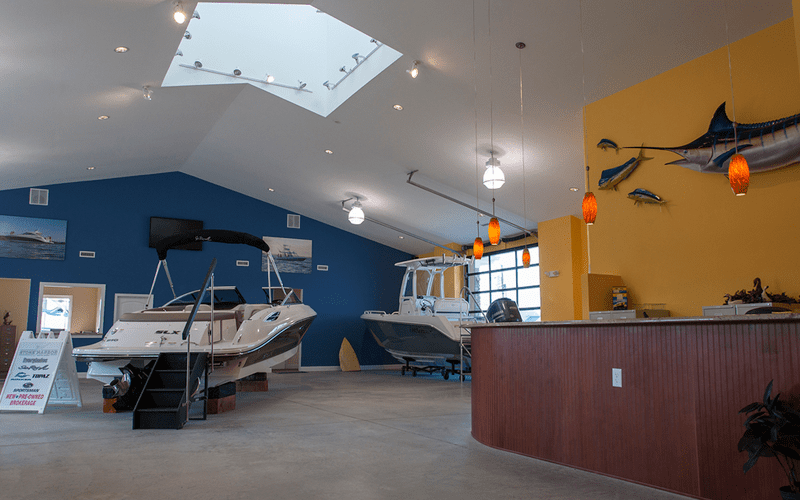 Tide’s End Marina has an in-house PWC specialist servicing all makes and models. 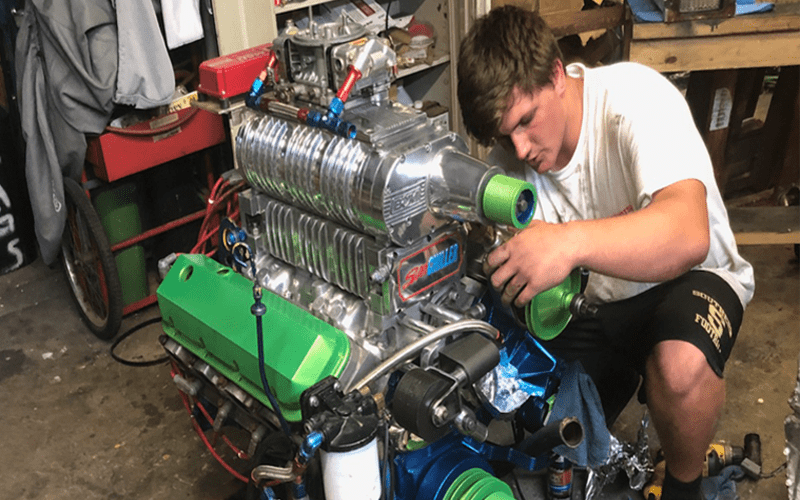 Anything from an oil change to a full motor rebuild, we do it all! We also offer custom and high-performance builds. 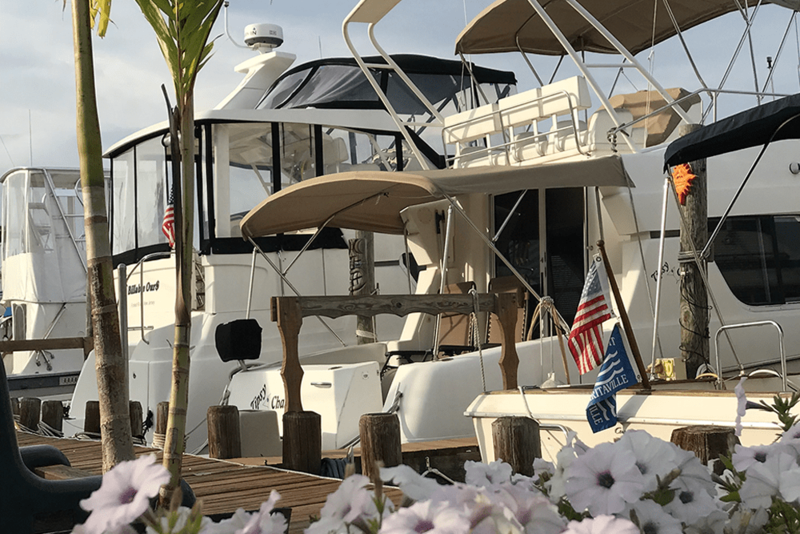 If you are looking to purchase a PWC or boat, we have a wide selection of used vessels for sale! We are also an authorized Tohatsu dealer selling 2.5-250 hp Outboards. Are you looking for something in particular that we do have? Send a message and we will find it! We do it all! 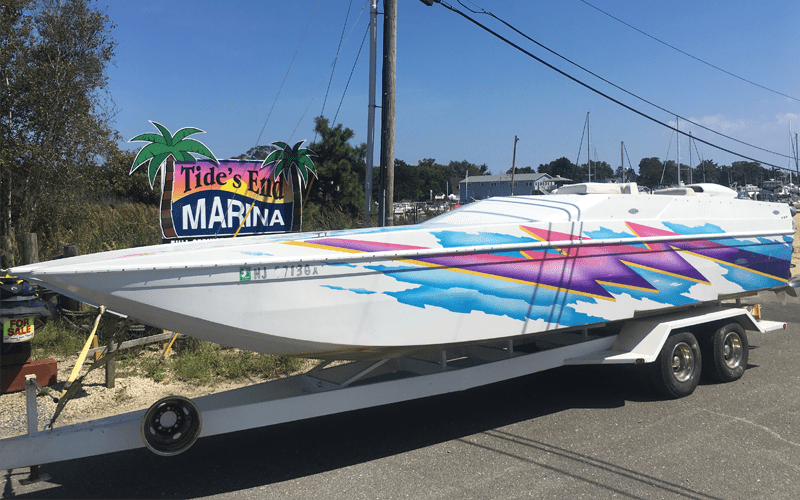 We are staffed with knowledgeable mechanics to get you back on the water fast. We service it all, outboards, PWC, inboards, high performance, you name it. Featuring 35 slips from 15’ to 52’ and floating docks for your PWC. All boats have direct river access. We offer year-round water storage. Call (609) 693-9423 to Request Service Today! Have more questions about our service or just need some advice? Give us a call anytime, one of our team members is stadning by, and will gladly help answer any questions. We have 35 Slips with our largest slip beginning able to house a 52’ Boat & plenty of PWC slips including floating jet docks. We know how expensive fuel can be and so we made it our mission to ONLY offer the lowest fuel prices. 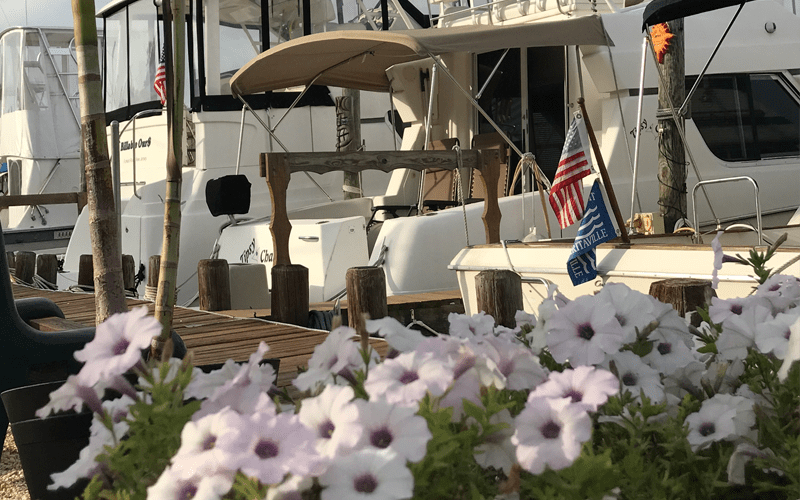 We have updated the common area for our marina to sensure our customers recieve a first class experience when they come visit us. Our newly reomodeld showroom floor is fully stocked with parts and accessories. 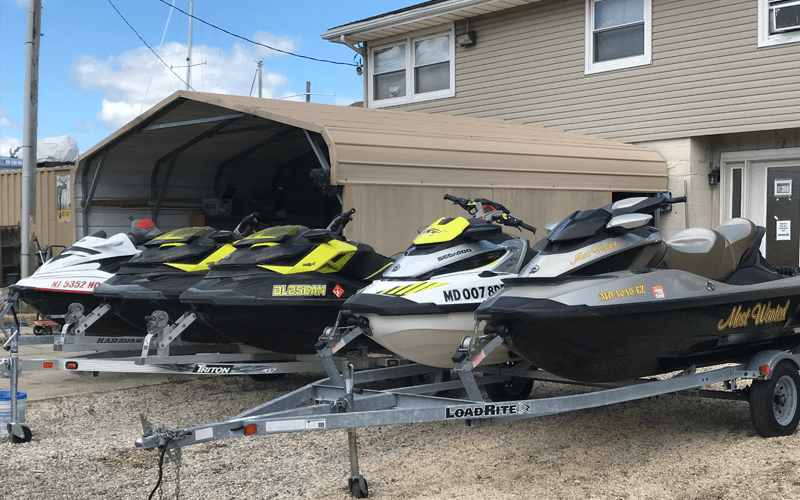 You can also check out some of the boats and jetski for sale on display. Owners are a motivated younger couple determined to create a loyal customer base (and seems they’re doing a good job at it). Brought my jet ski there for repairs. In the middle of summer when every other place told me at LEAST two weeks just to look at it, Marina Owner/Mechanic “Chris” had an assessment within a couple of days. Unfortunately, I got some pretty bad news, the motor locked up. The ski just wasn’t worth the work needed (no fault of Chris). The price to troubleshoot was MORE than reasonable (I guess they have a “sympathy rate” haha). He took his time explaining what he believed occurred and broke it down in laymen’s terms for my understanding. His partner, “Emily” seems to run “the front end”. She showed me around the marina and seemed excited with the work they had done to “spruce up the place”. To her credit, the place did look great. Chris and Emily both seem to have their fingers on the pulse of what customer satisfaction is all about. Wishing them nothing but the best. Customer service driven businesses should take a page out of their book. 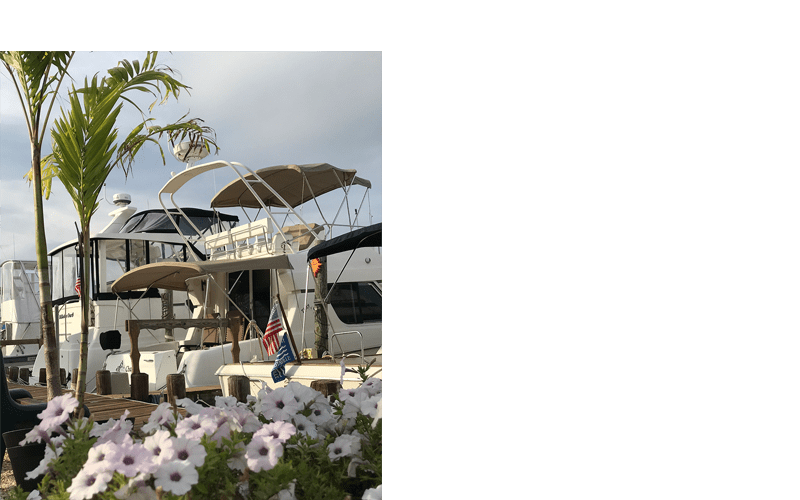 M-Su 9:00 A.M. – 5:00 P.M.
*We do offer Boat US discounts with proof of card!